Home Insurance with JK South Insurance Inc. | JK South Insurance Inc.
Home Insurance with JK South Insurance Inc.
At JK South Insurance Inc. in Florida, we understand that your home is probably the most significant purchase you will ever make. That is why we strive to help all our clients find the right insurance for them with quality policies. It does not matter whether our clients are looking for a home insurance policy that features basic coverage or they want a fully loaded package that offers them increased protection, we have you covered. We have a team of trained experts that are in a position to give you personal advice about the products available as they work with you in determining the coverage option that best suits your needs. The benefit of having a home policy when you need it cannot be emphasized enough. One crucial aspect of any home insurance policy is the coverage you get on the structure. With structure coverage, you cover damage to the actual structure of the home that could be caused by a storm, fire, or other disasters. We recommend that our clients insure their home for the amount that it would cost them to rebuild it. A basic policy will cover your home against major disasters such as vandalism, fire, tornadoes, and more. This will cover the replacement costs of personal belongings that were in the house. We encourage our clients to do an inventory listing of all the contents of their home including furniture, appliances, clothing, and tools. By doing so, you ensure that all your belongings are covered. You might also consider an off-premise protection coverage for your belongings when they are not in the house. If you are interested in insuring your home, you can get a quote by using our online rating tool. If you prefer talking to one of our professionals, you can always make your way to our offices in Florida. 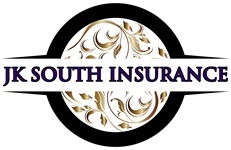 JK South Insurance Inc.'s is always ready to offer nothing but the highest quality services to our clients. There are different property insurance policies at JK South Insurance Inc. that will protect your family and other belongings. Your condo insurance policy may cover certain aspects of your unit but may not include others. This can be the same for a rental home or apartment. A Florida condo or rental property may have coverage from a landlord or HOA policy, but this will not protect your belongings from loss. With an insurance package that includes renters or condo insurance, you can make sure that the inside of your unit or rental space is protected from damages sustained from vandalism, theft, fire, and more. JK South Insurance Inc. can work with you to protect your belongings and will provide many options when it comes to getting a policy. It is important to let your agent know about valuable items in your condo or rental home as well to make sure that the insurance has the proper coverage to replace these items.